“Dynamic parameters” has been a long-time requested feature by the community. 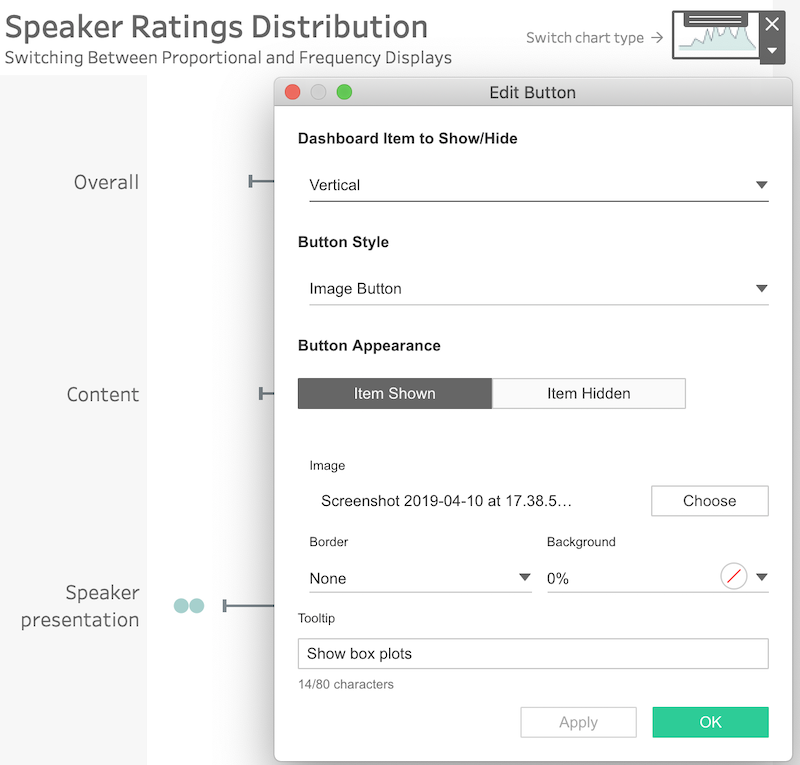 Tableau has listened to some of our prayers, and we will be able to have dashboards with better usability. 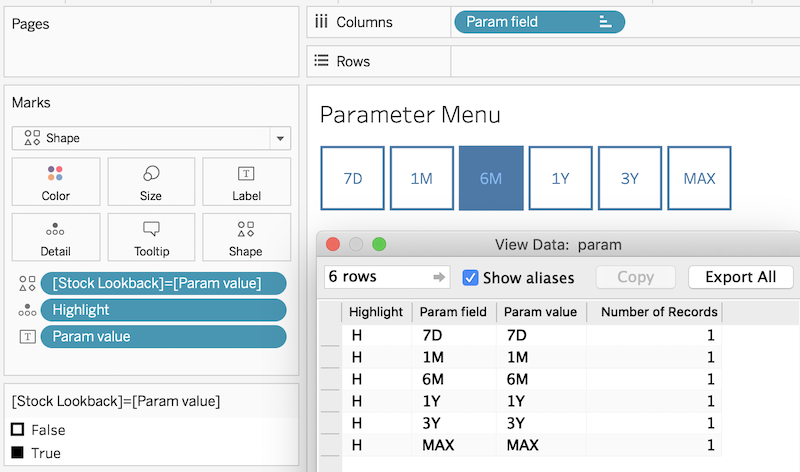 Parameter Actions work when we click or hover over a specific element. We can put the value of that element in a parameter of our choice. The parameter can be used for any different kind of calculations. I the example I am using it to color the bars conditionally. Setting up a parameter action is quite straightforward. First, we need to go to Dashboard/Worksheet > Actions > Add Action > Change Parameter. 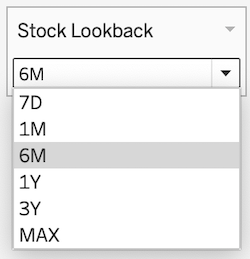 Way better looking than the boring dropdown selector! Right? 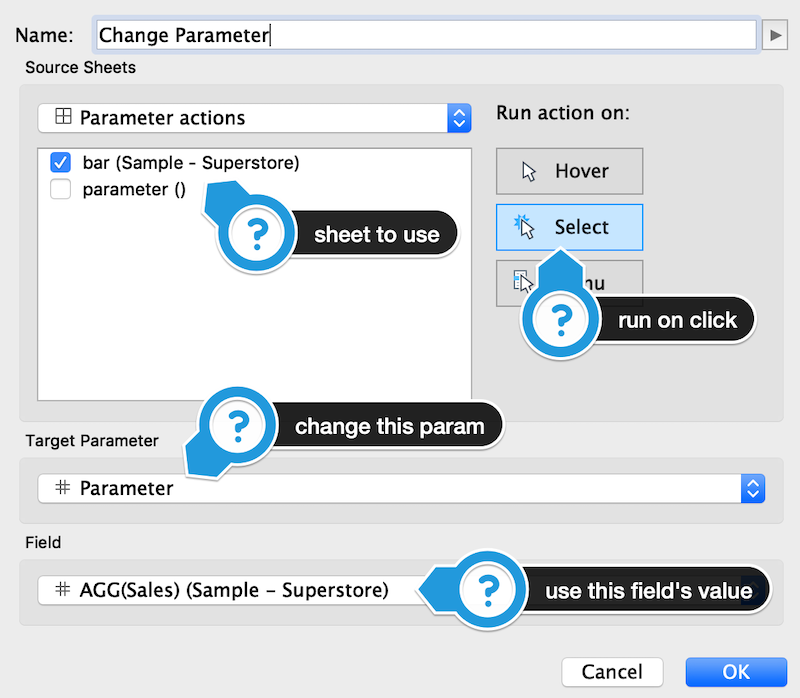 Once we have our sheet, we can add a parameter action just as in the first example. A while back I wrote an article about zooming-in and sliding on a time-series in Tableau. With parameter actions, we can make it prettier by using buttons instead of a dropdown. I leave it to you to find more use cases for this type of “filter”. In 2014 Stephen Few, this Jules Verne of data visualization, was imagining a feature that would allow users to equip histograms with multiple hierarchical levels of intervals simultaneously. Not only that but to have an option of turning it on and off at the click of a button. Histograms in Tableau are created by binning a measure’s values into intervals. The creator can manually set the size of the bins, or they can use a parameter’s value. 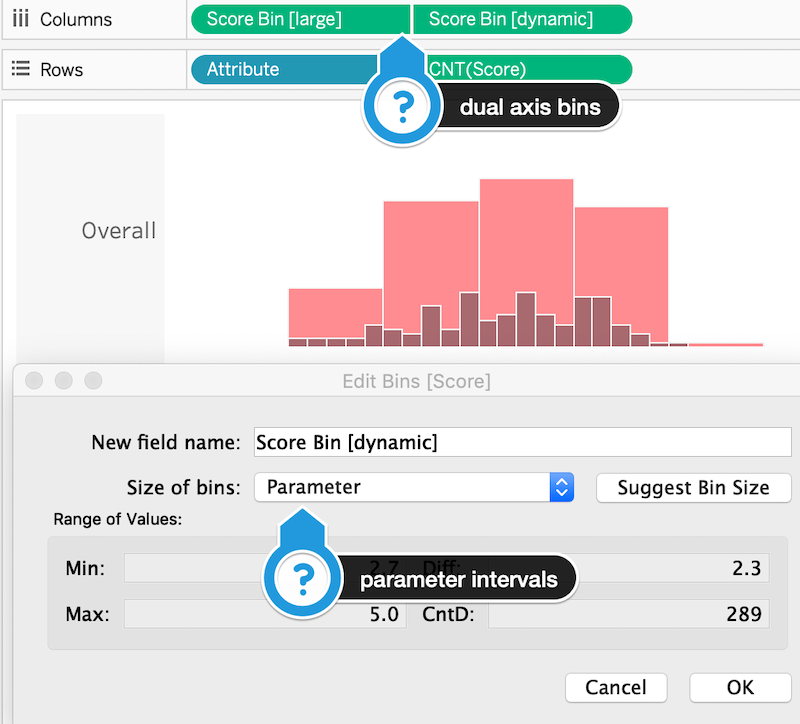 With this setup, we can dynamically change the size of the bins via a Parameter Action. Moving on to a feature that enables even more interactivity. A lot of you will probably find this useful since you will be able to hide filters and legends so they won’t take up space on a dashboard. Let’s say you want to allow the end user to choose the background color of a visualization. But, at the same time, you want to keep the design clean and elegant. Let ‘s go back to an idea from Stephen Few’s paper on improving how we look at distributions! Box-plots are great for spotting outliers, comparing medians, seeing where 50% of the data is, etc. But sometimes we might want to observe the shape of the distribution, even temporarily. In this way, we can see the details on demand, without having to move away from our dashboard. There is probably more than one way to achieve this in Tableau, but this seems the easiest one now. The Tableau community is always hungry for new features. Especially for ones that enable interactivity! These are just a few ideas to get you started and to give you an overview of what we can achieve. I am looking forward to seeing what else you, the community, come up with!